As announced last week, IIT Madras alumnus and co-Founder of Infosys, Mr Kris Gopalakrishnan, has set up three Chairs in computational brain research at IIT Madras with an Endowment of Rs. 10 crores each. The Chairs will complement a “Brain Research Center” that will come up in Bengaluru, as well as Chairs created in IISc and postdoctoral fellows sponsored at Carnegie Mellon University, Pittsburgh, USA. While the Center in Bengaluru will be dedicated to the study of numerous aspects of the functioning of the brain with specific goals to find cures for neurodegenerative conditions and diseases that are accelerated by old age, the three Chairs are being created in IITM to focus on computing aspects–architecture & model of the brain– including the memory/ processor relationship and neuromorphic computing. The Chair faculty at IITM will have access to the instruments, facilities and data at the Center, but will also conduct independent computational studies. As per Kris’ wish, the Chairs will be named after erstwhile faculty of the IIT Madras CSE Department, with the first being Prof. Mahabala. The “Prof. Mahabala Distinguished Chair in Computational Brain Research” is being launched on campus on November 28, 2014 at a function attended by Kris Gopalakrishnan and Prof. Mahabala. The Chair is intended for occupancy by visiting mid-career and senior researchers from academia, laboratories, and industry. It will be operated as an inter-disciplinary Institute Chair. 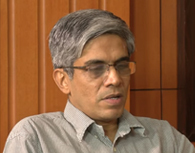 The Chair Professor will have demonstrated thought leadership in his/ her chosen field, and will be expected to have significant impact at IIT Madras on research thrusts in allied areas. He/ she will be expected to collaborate extensively with faculty at IIT Madras engaged in aligned fields of research, and also help the Institute build up capability in emerging areas related to new computing paradigms based on studies of the brain. The Chair Professor is expected to make a long-term (2-5 years) commitment to the Chair. The Chair will be operated by keeping the principal of the Endowment intact, and deploying the annual returns (appr. Rs. 80 lakhs, or $ 130K) towards operational expenses associated with the Chair, including a globally competitive compensation package for the Chair Faculty. Travel and stay expenses for IIT Madras students and faculty, within the context of the Chair engagement, may also be supported from the annual returns of the Endowment. Joint-supervision of M.S. and Ph.D. students may also be pursued through this option. The first proposed occupant for the Chair is among the most eminent in the field– Dr. ParthaMitra, Principal Investigator at Cold Spring Harbor Laboratory, New York. The Mitra Laboratory is a research effort which combines theoretical, computational and experimental approaches to understand biological complexity. The goal is to obtain conceptual breakthroughs into how brains work. Currently, the laboratory is focused on the “Brain Architecture Project”. The basic premise of this project is that, while great advances have been made at the individual neuron and microcircuit levels, there is a large gap at the whole-brain level of analysis of neural circuitry. The “Mouse Brain Architecture Project” seeks to fill this gap experimentally, by systematically mapping the whole brain meso-circuit of the mouse brain, and simultaneously addressing the computational and theoretical questions that arise. Dr. Mitra is interested in developing an integrative understanding of complex biological systems from a “theoretical engineering” perspective. His research currently combines experimental, theoretical and informatics approaches to gain an understanding of how brains work. Three areas of research are expected to be pursued collaboratively at IIT Madras: Closing the knowledge gap for brains (a “circuit diagram” for brains), closing the understanding gap for brains (understanding about how brains work), and closing the performance gap for brains (impacting society through diagnosing and helping treat neurological disorders, and through machine intelligence). 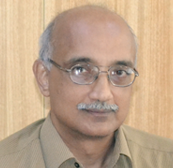 Dr. Mitra is expected to commence his appointment, affiliated with the Department of Computer Science & Engineering, from January 2015. Kris has been a true friend and benefactor of IIT Madras for many years, and his affinity to his alma mater and to her faculty is truly remarkable. This gesture to honor outstanding faculty of his time is timely and welcome, a model for others to follow.